The Spyder Bandit Half Zip Stryke Jacket is designed to keep your little guy comfortable under a larger ski jacket. The lightweight polyester sweater knit is breathable without being too hot, and the half-zip goes a long way to help regulate temperatures. Up top, the high collar design protects against the elements and features brushed microfiber for some added warmth. 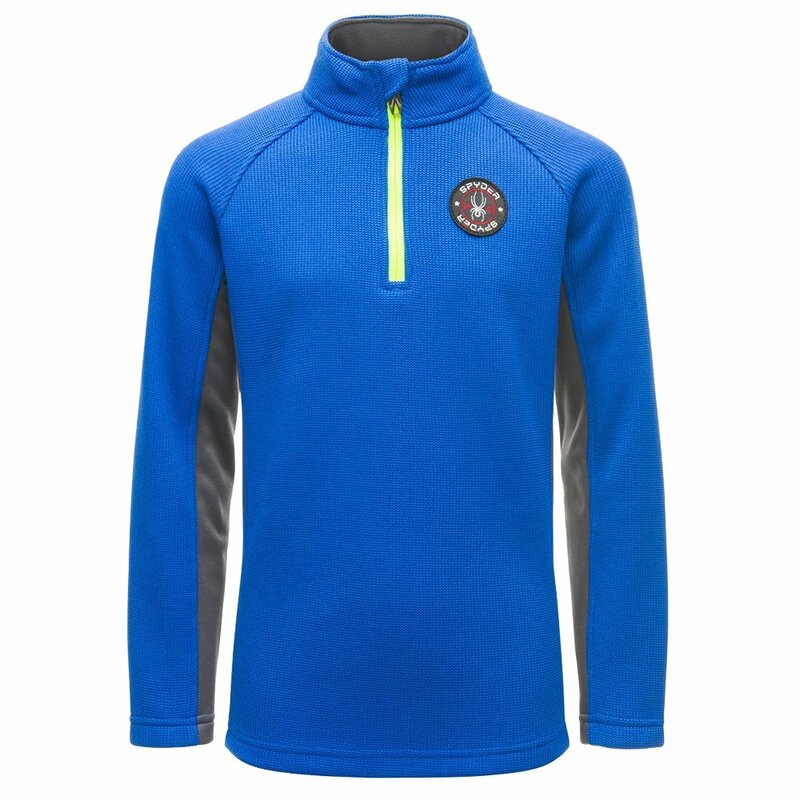 The Spyder Bandit Half Zip Stryke Jacket also features stretch fleece panels under the arm and at the sides for a comfortable fit that won’t restrict his fun in the snow.